Below are events we’ve been told about. 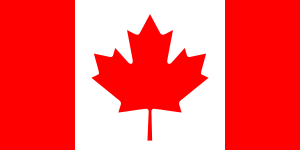 To have your event listed here – please post it in our facebook group. NASA Langley, Virginia asked well known jazz musicians to volunteer kicking off WCIW in their cafeteria. See the clip here and the write up here. 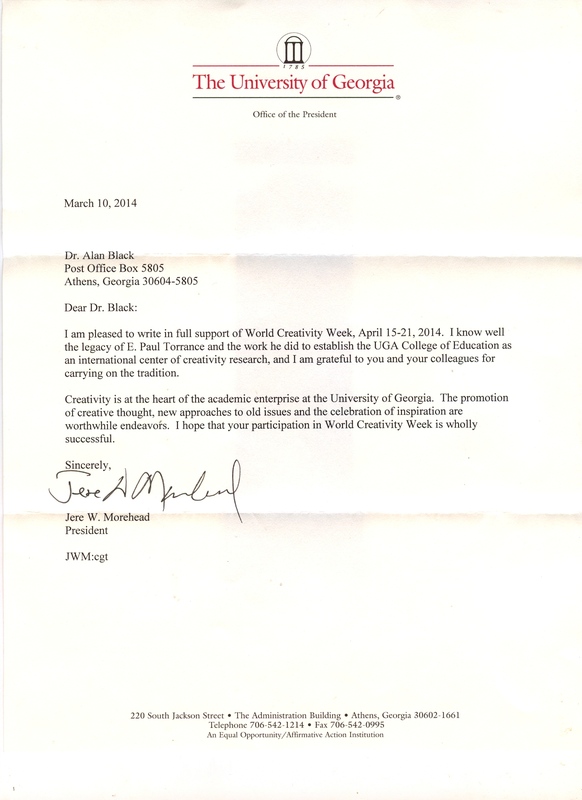 University of Athens, Georgia issued a proclamation! Athens/Clark County, Georgia also issued a proclamation! 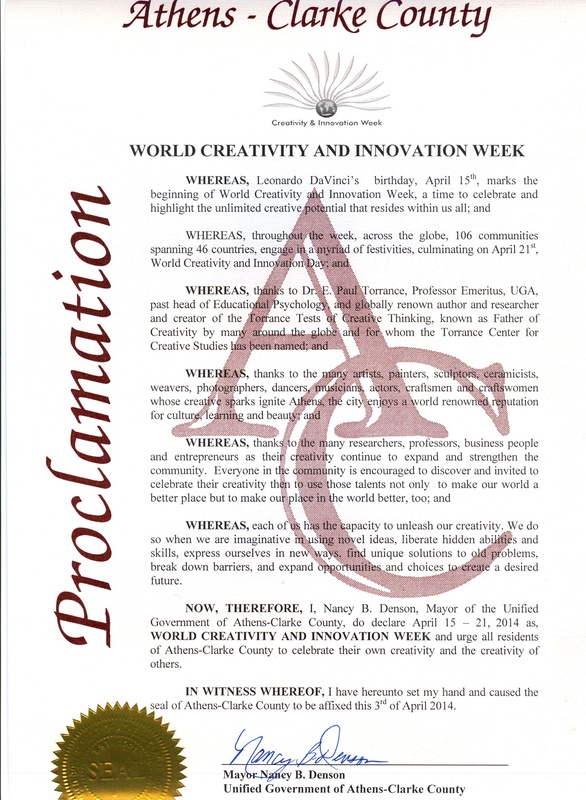 Laport, Indiana: The Center for Creative Solutions is sponsoring three events for World Creativity and Innovation Week April 15 – 21, 2014. A Hello Donuts Business Start-up Program (info), a Day of Adventure Innovation Expo (info) and a collaborative industry/community/school WCIW celebration/fair using the theme Energizing Your World with special guests Thomas Edison and Nikola Tesla (info). 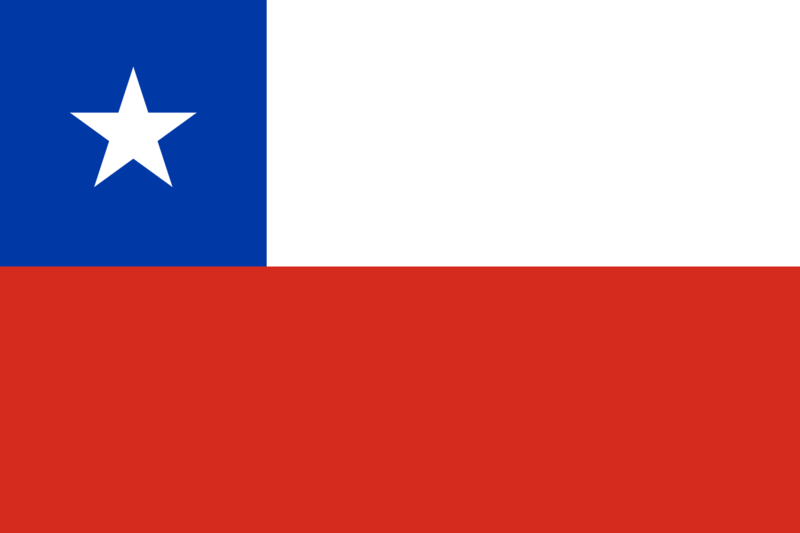 Santiago, Chile: Santiago celebrate with 3 events. 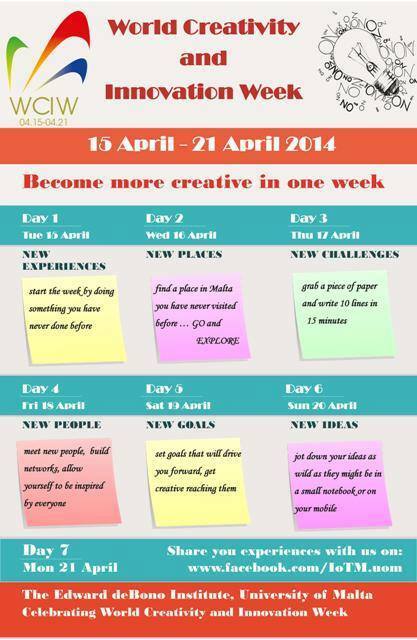 Malta: As part of World Creativity and Innovation Week (WCIW), which is being held between Tuesday and April 21 in over 50 countries including Malta, the University’s Edward de Bono Institute for the Design and Development of Thinking is launching an initiative entitled Become More Creative in One Week. 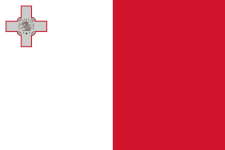 Two of our Master students at the Edward de Bono Institute for the Design and Development of Thinking at the University of Malta have led the initiative to celebrate WCIW. A new challenge is set each day to inspire and promote everyday creativity. We are also launching our revamped Facebook page ‘Discover The Edward De Bono Institute. Are you ready to take up the challenge? The initiative involves a new challenge every day during the week, such as exploring new places, meeting new people, setting new goals and coming up with new ideas. Participants are invited to share their experiences on the institute’s new Facebook page, Discover the Edward de Bono Institute (www.facebook.com/IoTM.uom), which is being launched to coincide with WCIW. More info here. Smarttinker.com is issuing a daily challenge. It also has two video clips of Sir Ken Robinson speaking about the importance of creativity in education.